Garden path lighting designs increase accessibility, safety, security, and night-time aesthetics. Landscape lighting designs can also create exciting recreational, sporting, and social options for your property while elevating your home's curb appeal. An illuminated front entrance is welcoming to you and your guests. Softly lit garden paths denote a well cared for property. Exterior lighting guides your guests through your garden and highlights various elements of your outdoor design. Well designed landscape lighting invites your guests to explore your property’s unique beauties and hidden treasures. A patio awash in a warm glow invites family and friends to enjoy your outdoor living space. Uplighting can subtly and unexpectedly give a warm aura to a deck, or accent a beloved tree. Low voltage outdoor lighting effortlessly illuminates your newly landscaped garden by creating a natural moonlight effect. And solar garden lights help you save on energy bills. Our landscape lighting design options highlight your garden while enriching your property. Because the workday often keeps families busy until after dark, outdoor lighting allows your family to enjoy your garden in the evening. Your outdoor living space becomes an extension of your home, which means more recreational area. Social occasions can be indoor and outdoor functions, and sports are no longer limited to daylight hours. In addition to increasing the usability and beauty of your home's newly installed landscaping, exterior lighting also increases safety. Our low voltage garden lighting and solar lighting systems illuminate potential tripping hazards while delineating walkways and paths. In addition, exterior lighting is an important ingredient in home security. A well lighted yard is a major deterrent to home intruders. Soft exterior lighting eliminates deep shadows which can hide would-be home invaders. Garden light makes it clear that your property is well monitored. Security can also be enhanced with motion-sensored lights; letting would-be criminals know that they are not invisible. 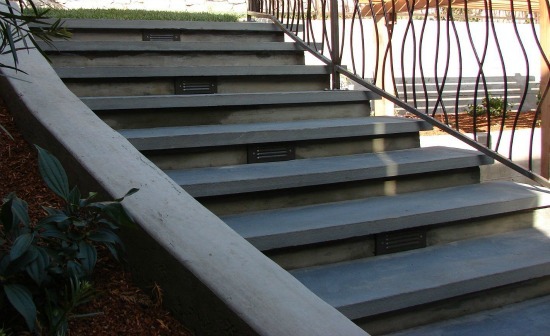 Pathways, steps, stairs, decks, docks, driveways, sports courts, outdoor sculptures, entry ways, walls, and benches. We also specialize in area lighting, security lighting, moon lighting, tree-mounted lighting, accent lighting, wash lighting, hardscape lighting, uplighting adjustable lighting, down lighting, directionals, in-ground well lights, and solar garden lights. Our exterior lighting solutions beautify while increasing usability, safety, security, and home value.